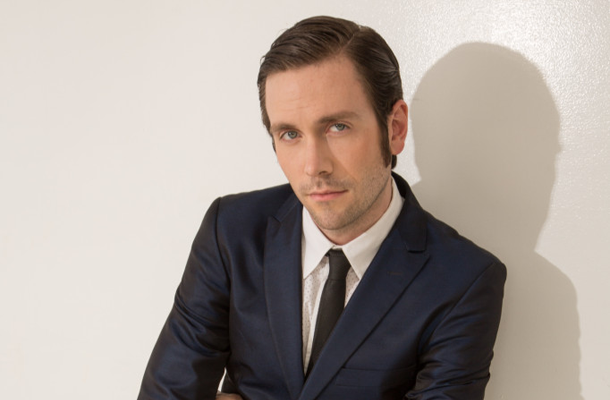 I spoke with Kit Williamson about Mad Men, EastSiders, Best Friends Forever, Bosch, his hilarious Funny or Die PSA announcement, and so much more. It was such a pleasure to speak with Kit about his role as Ed Gifford on Mad Men. 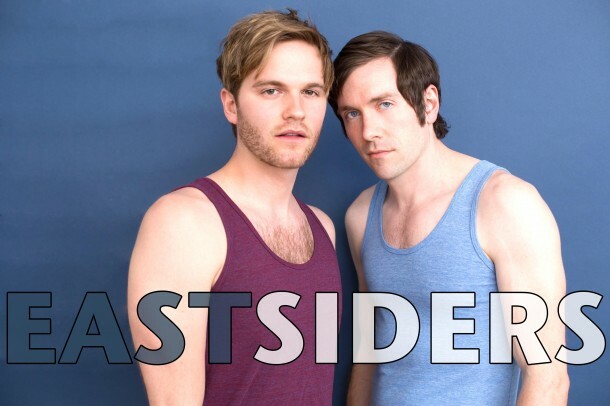 He really wants to bring you another season of EastSiders. Let’s make it happen. Please make sure you check out his Funny or Die PSA. I laugh every single time I watch it. Don’t miss Mad Men, Sunday nights on AMC. He may or may not be in another episode this season. Kit Williamson: That was so funny. [Laughing] I was surprised. That was improved. I had no idea what I was going to do, and my friend said be the gay guy at the end of this thing. I said, “All right, I’ll be the gay guy at the end of this thing.” [Laughing] That was such a fun, fun shoot. Lena: I’m going to have to watch it daily because it was so good. Lena: No, thank you. Someone definitely had to say it. Kit Williamson: I agree. I guess it’s more culturally acceptable for gay guys to do it, but I don’t think anybody wants to see it. There’s no flattering angle of that. Lena: No. You could put some hats on it, and stuff, but we still really don’t want to see it. Kit Williamson: I’d accept one with a hat on it. I would absolutely accept that from anyone. Lena: And a little mustache? Maybe if it was made up to look old-timey? Lena: [Laughing] Perfect! Yeah, you really couldn’t work in a regular pair of glasses. Lena: It was great seeing you on the season premiere of Mad Men. Kit Williamson: Thank you. I was so, so happy to be on the season premiere. It’s just a dream come true to be on a show like that. Lena: Are we going to see more of Ed this season? Kit Williamson: I can’t say. My confidentiality agreement is airtight. It was such an adventure last year, in terms of when the show came out; I was only able to tell people about it after the episode aired. That was really fun, actually—to keep a secret like that. Whether Ed is going to be back or not, no one can say. You’ll just have to watch the show to find out. Lena: Wow, they won’t even let you say if your character is going to be on again? That is so weird. Kit Williamson: They are very mysterious. They’ve done such a great job of keeping the show mysterious. I think that the confidentiality of the actors is part of that. It’s one of the few shows on television that you really don’t know what’s going to happen, so you watch it. Lena: How would you compare the ads from the 60s to today’s campaigns? Kit Williamson: I think that there was a lot more art and finesse to ads in the 1960s. Whereas now, perhaps because there is more market research out there and people are more aware of what catches your eye, it seems a lot less artful and much more aggressive—I guess. I feel like advertising has lost some of its mystery and allure. Lena: Do you have any favorites from the show? Kit Williamson: Oh gosh, I really love the margarine scene. When everybody was pitching bad ideas for margarine. I actually really loved the idea that didn’t get picked up in the first episode of the new season, the one that Peggy was advocating for with the watches in Accutron. I think it’s really fascinating how they juxtapose this really well throughout the idea that Don (Jon Hamm) helped create in secret and then had the boss essentially pick the least artful idea that was presented to him. The easiest sell, let’s say. It seems that’s part of what the show is about to me—it’s about striving for excellent, striving for a different level of creative output and the resistance that that is sometimes met with. Lena: I can’t talk about the show without bringing up the fashion aspect of it. I love Ed’s glasses. Kit Williamson: Thank you. It’s really fun for me because I wear almost the exact same glasses in my day-to-day life and I auditioned for the part wearing those glasses. I got to the set and found the 1960s version of the glasses in my props. I thought that was so cool. Lena: What are some of your favorite fashion staples from that era? Kit Williamson: I love cardigans and I love button up vests, like sweater vests. I think it’s an interesting contrast between comfort and professionalism in the fashion at that time. Some of the things that people wear like a fuzzy cardigan would be so comfortable and contrast that with a starched collar and it’s almost like the spirit of the 60s is encapsulated in that vision. Lena: I love the way that Joan (Christina Hendricks) dresses. I would raid her closet. Kit Williamson: Oh yeah, absolutely. I’m shocked that there isn’t a drag queen inspired by Joan yet. Maybe there is one out there somewhere? I think that would be such a good idea. She’s so distinctively iconic. Kit Williamson: Everybody is so kind. They really welcome visitors to the set and guest stars and co-stars are really treated like a part of the family. It is a family there. It’s cool to walk into an atmosphere like that, where everybody is really serious about the work but really thoughtful about how they interact with each other and just friendly. Lena: Any funny behind-the-scenes moments that you can share? Kit Williamson: I can tell you that everyone loves games. There are a lot of card games at base camp and dominos and Catch Phrase, and Gin Rummy. It’s a very competitive set, but in a good way. Lena: It’s sad that this is the finale season, but going seven seasons is nothing to joke about. Kit Williamson: Absolutely. At least, as far as my only personal bias goes as a viewer, I really like it when stories end in a satisfying way, so being able to plan that is amazing—I think. Lena: How would you like to see it end? Kit Williamson: Oh gosh, you know I’m too invested in the show as a viewer, because I’ve watched the show from the very beginning, to predict. I have no idea how it’s going to end and I am as excited to find out as everybody else is. Lena: You are working on getting a second season of EastSiders. Lena: Brea is great. I’ve interviewed her before. Kit Williamson: She’s so nice. She’s one of my oldest friends in L.A. I met Brea in acting class right when I got here from New York and we’ve stayed really close ever since then. Lena: I really enjoyed the first season of the series, especially the last episode. If only putting on pants and shoes was the key to handling anything. Kit Williamson: [Laughing] Oh, thank you so much. I definitely think that’s true of my life. Kit Williamson: And act in it as well. It’s an interesting experience coming into a set where everybody has a really defined role and then going onto my set where I’m wearing like a dozen different hats. It’s a different experience but satisfying in a completely different way. Lena: Do you watch Louie on FX? He does everything as well. Kit Williamson: Oh god, I love Louie. I find him so inspiring. What he’s been able to accomplish is incredible. Especially how every episode is kind of its own little vignette, it’s own self-contained story. It’s such an interesting sort of format for a show and groundbreaking in a lot of ways. I think we are seeing more and more of shows that are creative where there is one person that is the creative force behind it—like Lena Dunham, or Louis C.K. Those are people that I really look up to because I inspire to continue to tell stories in this way. Lena: How did you come about casting Traci Lords as your mom on EastSiders? Kit Williamson: Traci Lords has done a movie with Van Hansis called Devil May Call. They had just finished shooting as we were going back into production for EastSiders. Van had actually suggested that I write something for her and then he would send it to her and see if she would be willing to do it. I did write the part for her and I was so excited and thrilled that she liked it enough to take part. Lena: I loved her in it; I thought she was great. Kit Williamson: Thank you. She was such an absolute pleasure to work with—so professional and so much fun at the same time. I think that’s a really important balance to strike. Lena: I really hope that you guys get a second season. It would be a shame if we don’t get to find out what Cal and Thom have been up to. Kit Williamson: Thank you. Yeah, we don’t want to leave Cal and Thom on the floor in their apartment forever. [Laughing] I would definitely love to keep the story going. Lena: And splitting up the Christmas ornaments, that was so sad. Kit Williamson: If you ever had to do that, it’s an upsetting thing. Lena: Can you talk a bit about the show for people who haven’t seen an episode [shame on them] and talk about what fans can expect from the second season? 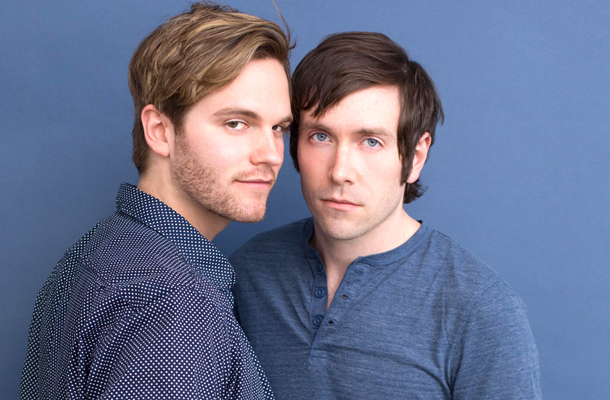 Kit Williamson: EastSiders is a dark comedy about a gay couple struggling to stay together through infidelity in Silver Lake, California. The first season really explored a love quadrangle between a couple and a third person who had sort of infiltrated their relationship eventually and the fallout from that and they ways in which lies kind of piled up on top of lies and ultimately dismantled all trust between the couple. The second season is really going to explore relationships in a broader sense. I can tell you that Cal and Thom have moved out at the end of the first season. They are living in separate apartments and they are trying to navigate just exactly what kind of relationship they can have with each other in the future. Whether or not their feelings for each other are enough of a reason to initiate trying to be together. We are going to a lot of different places and I also want to explore more of the ensemble including Stephen Guarino’s character, he plays Quincy on the show, a party promoter in season one. He’s going to be really predominately featured in season two alongside Willam Belli in kind of a let’s say an unexpected sort of friendship turned possible romantic relationship between two party promoters. We’ll also have a lesbian storyline with Jeremy’s (Matthew McKelligon) sister played by Brea Grant as Jeremy has had to move into his sister’s home that she shares with her wife of eight years and their two kids. He’s kind of an ipso facto live-in nanny. Lena: Do you have the whole season ready to go? Kit Williamson: I’ve written it. We have the scripts, the production team, and the cast. 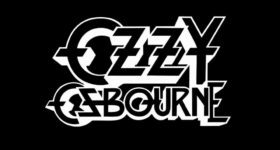 All we need is the support from the fans on Kickstarter and we will be ready to go. It’s off to a great start and I’m really hopeful that we’ll keep the momentum going. Lena: What other projects to do you have coming up? Kit Williamson: I was in an Amazon pilot called Bosch that just got picked up. 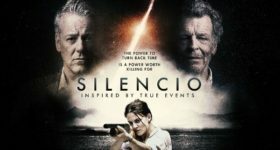 It’s based on a series of Michael Connelly novels—best selling mystery novels. I’m in Best Friends Forever, which Brea Grant directed. It’s out on DVD now. Mad Men airs Sunday nights at 10/9c on AMC.